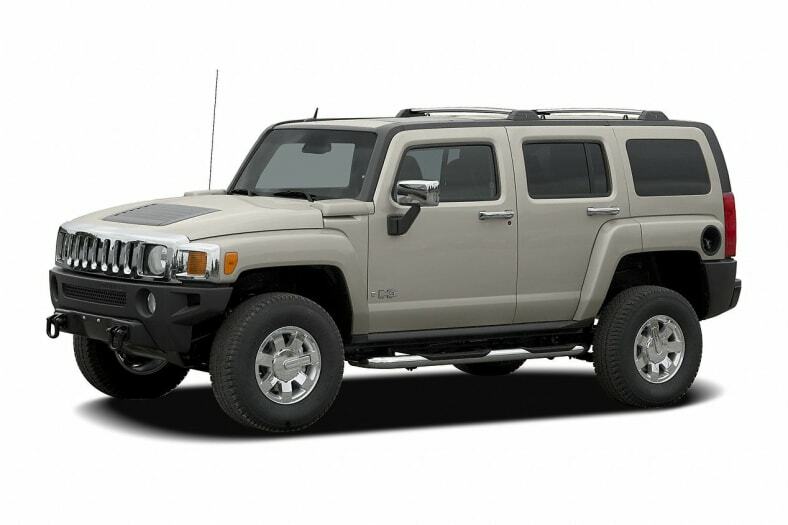 H3 is the affordable, approachable, people-friendly Hummer. It's the Hummer you can drive anywhere and in any company, and not be subjected to rude gestures or inappropriate speculation about the size of your vehicular needs. That's because H3 packs all of the soldier-boy style and some of the off-road capability of the now-defunct H1 and house-size H2 into a mid-size, five-passenger package. For 2007, H3 has a larger, more powerful standard inline five-cylinder engine. StabiliTrak electronic stability control comes standard on all versions. Fuel economy is 15/19 City/Highway mpg for the five-cylinder with automatic transmission; Highway mileage increases to 20 mpg with manual transmission. In addition to serious off-road capability, H3 offers comfortable and quiet performance on the highway. It's an impressive balance. And if you don't mind the stares, you might opt for the flashy new H3X, which is based on the H3 Street concept that appeared at the 2005 Specialty Equipment Market Association (SEMA) trade show. H3X adds chrome, unique colors, and a honkin' Monsoon sound system to the basic H3 package. And it's still as capable at squeezing into tight parking spaces as it is picking its way over boulders on the Rubicon Trail.